Posted by Kathy & Seymour Fineman on Friday, June 13th, 2014 at 4:06pm. At the Clubhouse main entrance, members and guests were greeted with a Scottish Piper in true St. Andrews Scotland traditional attire - kilt and all. (His picture at the bottom of the post - so, read all!) If you're not familiar with Scotland's St. Andrews, it is reputed to be the birthplace of golf. In fact, St. Andrews Golf Club in Scotland is so traditional, they're voting this September to allow women as members of the club! Even Augusta retired that rule years ago! My personal opinion is golf was born in Scotland, but it is King in St. Andrews Country Club, Boca Raton, FL. 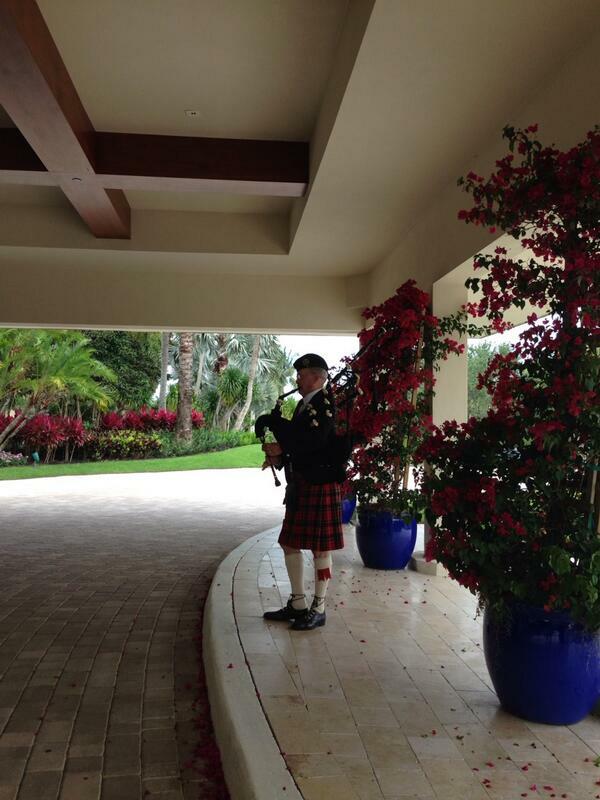 And St. Andrews Country Club has 36 championship holes, no tee time necessary and the Piper to prove it!